Those of you who know me know that I am not a Rick Warren apologist, but I think he did an outstanding job in this interview with David Gregory on Meet the Press, which aired on November 29, 2009. I hope you enjoy it as much as I did! When we were preparing our last series of weekend services under the title Broken, Brent and I quickly concluded that the best way to conclude the series would be to have Carole Plemmons come and share her testimony. 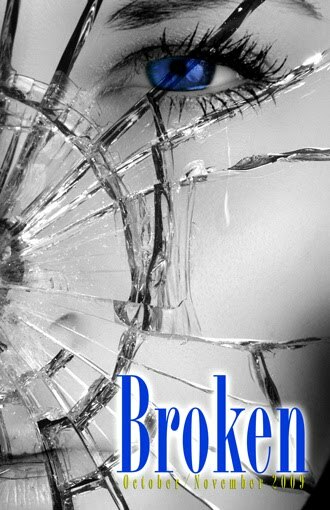 In nearly 26 years of vocational ministry, I have not me anyone who has endured more adversity in life! Her story is a beautiful explanation of how God injects his grace and mercy into our lives and refines us into his likeness. For years Carole has kept an indepth spiritual journal that chronicles her journey through a myriad of challenges. She has taken some of those entries and compiled a devotional book titled Amazed by Grace. I commend it to you and encourage you to use it as food for spiritual formation. This advent season I’m doing a series of messages from John 3:16 titled Regifting Christmas. During the series we will examine the wonderful gifts God has given to us: love, Jesus, faith, and life. We’ll also discover how we can take those gifts and share them with others! 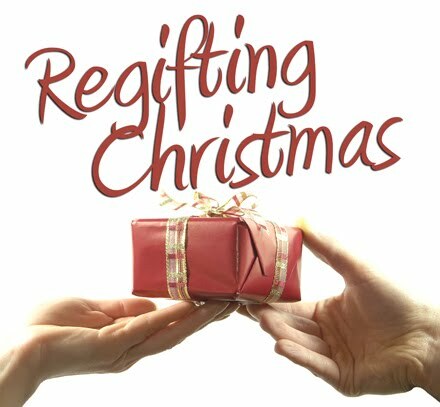 I hope you’ll join us for Regifting Christmas, beginning this weekend! So think clearly and exercise self-control. Look forward to the gracious salvation that will come to you when Jesus Christ is revealed to the world. So you must live as God’s obedient children. Don’t slip back into your old ways of living to satisfy your own desires. You didn’t know any better then. But now you must be holy in everything you do, just as God who chose you is holy. For the Scriptures say, “You must be hold because I am holy.” And remember that the heavenly Father to whom you pray has no favorites. He will judge or reward you according to what you do. So you must live in reverent fear of him during your time as “foreigners in the land.” For you know that God paid a ransom to save you from the empty life you inherited from your ancestors. And the ransom he paid was not mere gold or silver. It was the precious blood of Christ, the sinless, spotless Lamb of God. God chose him as your ransom long before the world began, but he has now revealed him to you in these last days. Through Christ you have come to trust in God. And you have placed your faith and hope in God because he raised Christ from the dead and gave him great glory. You were cleaned from your sins when you obeyed the truth, so now you must show sincere love to each other, as brothers and sisters. Love each other deeply with all your heart. For you have been born again, but not to a life that will quickly end. Your new life will last forever because it comes from the eternal, living word of God. As the Scriptures say, “People are like grass, their beauty is like a flower in the field. The grass withers and the flower fades. But the word of the Lord remains forever.” And that word is the Good News that was preached to you. So get rid of all evil behavior. Be done with all deceit, hypocrisy, jealousy, and all unkind speech. Like new born babies you must crave pure spiritual milk so that you will grow into a full experience of salvation. Cry out for this nourishment, now that you have had a taste of the Lord’s kindness. Theology precedes ethics. Or one might say what we believe determines how we behave. This is the pattern of the epistles. It is clearly evident in Paul’s letters, and 1 Peter is no exception. The first section of 1 Peter (1:1-12) is an intense theological passage. Like Paul, Peter follows up his doctrinal statement with an ethical section. In the above passage, he challenges his readers with five imperatives to apply to their everyday lives. 1. Control your thought life (1 Peter 1:13). Their new found faith should inform how they process information. The same is true of us. The experiences of life are real. But what we choose to think about those same experiences is under our control. We can’t change reality, but we can manage our thoughts about those experiences. 2. Be holy (1 Peter 1:14-16). I find it interesting that Peter’s instruction is to be holy, not to do holy. We commit a grave injustice when we reduce holiness to a list of “do’s and don’ts” rather than seeing it as a vital part of our position in Christ. As holy people we do self-examination. But holiness motivates our self-checking, not vice versa. 3. Live in reverent fear of God (1 Peter 1:17-21). One of the most important daily disciplines a Christian should exercise is the simple confession “God is in control.” Living in reverent fear of the Lord is the result of living with the conviction that God is sovereign and in control of all things. God has already saved us from the worst of all, so we can trust him to reign over every circumstance in our lives. 4. Intentionally love others (1 Peter 1:22-25). One of the first things we learn when we come to faith is that God loves us. We know our faith is beginning to mature when we learn that God loves others too. Love is important, because it’s the one eternal value that we possess on earth that will carry over into our life in heaven. In heaven we won’t need faith and hope for faith will be sight and hope will be fulfilled. But love endures eternally. 5. Develop good eating habits (1 Peter 2:1-3). Good nutrition is a critical part of good health. This is true of the spiritual realm as well as the physical realm. We must grow as believers, and a balanced diet from the word will make sure that we are spiritually healthy and balanced. God is the source of all comfort and he comforts us when we face crushing pressure. But God doesn’t comfort us to make us comfortable. He comforts us so that we will become comforters. When Jesus appeared to the disciples after his resurrection he spoke words of assurance to them. The Bible then tells us that Jesus showed them his scars. He comforted the disciples with his presence, and gave them an indellible reminder of his suffering. Though the image of Jesus’ scars is not referred to again in the New Testament story, one has to believe that with every blow of suffering the disciples experienced that the image of those scars comforted and encouraged them. God is the source of all comfort and he comforts us in our troubles. The word Paul used to describe our troubles is thilipsis, which means pressure. It’s a word picture for a wine press that crushes the juice out of the grapes. So we might say that troubles are the crushing pressures of life. When the crushing pressures occur, God comes to our side and comforts us. How then does God comfort us? The Bible is not specific, but allow me to offer three thoughts that will help us understand what God’s comfort looks like. First, God comforts us though his presence. We are assured that God is nearby during the crushing pressures of life. Perhaps this is the reason that Jesus referred to the coming Holy Spirit as the paraklete, the one called alongside to help. Second, the word comfort is in the present tense, meaning that his comfort is continuous. God’s comfort is not on again and off again. His presence is steady and ongoing. Third, his comfort is sufficient for our need. 2 Corinthians 1:5 states, “For the more we suffer for Christ, the more God will shower us with his comfort through Christ.” (NLT) In other words, the more we suffer, the more we recognize God’s continual presence by our side. This is perhaps why we esteem those who suffer the most to have the closest relationship with Christ. As we suffer, Christ is revealed more and more in our lives. How does God comfort us? God comforts us by revealing his continuous and sufficient presence in our lives. Scars tell stories. For example, I have a scar on the palm of my hand. I got it when I was around 10 or 11 years old from a bicycle accident. My friends and I loved to ride our bikes and every time we found a patch of loose gravel we would ride as fast as we could into the loose gravel and lock up the brakes and skid the tires and spin the bikes around. It was about as wild and reckless of behavior as we could muster! One evening I took the bike out for a quick spin and as you may have guessed, crashed. As I looked at my throbbing hand I saw gravel imbedded in my palm. There was a nice open gash which resulted in the scar that I bear in my hand to this day. As I have said, scars are a part of the story of our lives. They communicate things about our lives and inform us of the nature of life as well. Scars give evidence of that we have been wounded at some point in the past. At the same time, scars also provide evidence of healing. We don’t remain perpetually wounded, for through time and care we experience healing. Scars serve as ongoing reminders of past experiences that provide lessons that can’t be learned any other way. We are transformed through those pains from the past. After all, scars change our appearance. The story of life is developed through each one of those transitions. Obviously some of our scars are physical. But not every scar we bear can be seen. Some of our deepest scars are on our hearts, in our minds, and in our souls. We learn about pain early in life. Some of our earliest memories of life are associated with pain and injury. Quite naturally we sought comfort from a parent who would care for our bumps and bruises. When my kids were very young my wife always carried Band Aids with her where ever she went. Any good mother knows that a Band Aid will do wonders to quiet a child’s tears. I believe the band aid may very well be the universal symbol of comfort. In fact, if comfort flew a flag, the symbol on the flag would be the Band Aid. Paul states that God is the source of all comfort and that God himself is the source of any comfort we know or experience in life. That’s easy enough. So what’s the definition of the word comfort? The word Paul used for comfort is paraklesis, which is also be translated as encouragement. We know from communication dynamics that face to face is the posture used when for things like teaching or even confronting. But paraklesis is not a face to face posture. The word literally means to be “called to one’s side.” Comfort is a side by side posture. Why is that important? When you are side by side you face the same thing at the same time in the same direction. I think we can understand comfort more fully if we think of it as a posture instead of an activity. Comfort is my expression of love toward others that has been perfected by personal experience. Christian? or Follower of Christ? Here’s clever parody of a popular television commercial that makes an excellent point about how we live our faith. Do you see your faith as a noun or a verb? It’s evident that in our postmodern Western culture that “Christian” is a word that is rapidly losing it’s meaning. Many are abandoning the practice of describing themselves as “Christians” in favor of words and phrases that offer a clearer distinction. What do you think? In the final section concerning discipline, the writer shares two purposes that God desires to accomplish. First, God’s loving discipline is beneficial because it produces holiness in our lives. Psalm 119:67 reads, “I used to wander off until you disciplined me; but now I closely follow your word.” Verse 71 of the same chapter continues, “My suffering was good for me, for it taught me to pay attention to your decrees.” Discipline serves as a corrective and produces holiness in our lives. In the western world parents view their objective as that of raising independent children who will be functional in the world. In the ancient world of the Bible, the goal was different. The goal of parents in Bible times was to create worthy heirs. (Think about that as you read Matthew 5:10-12 and Luke 15:11-32.) God uses discipline to create worthy heirs who inherit the Kingdom of God. As we experience the necessary discipline to inherit the Kingdom, we must first deal with ourselves. We “take a new grip” and embrace the promised outcomes of God’s discipline. It may be painful at the time, but God doesn’t expect us to embrace the pain. He expects us to embrace the outcomes that he’s working out in our lives. As we deal with ourselves, we simultaneously must watch our influence. When we undergo God’s loving discipline we cannot forget that people are watching us and taking note of how we respond to God’s work in our lives. God is good, and he’s working out his plan for our best. Remember, it’s not what happens to us that matters. What matters most is what happens in us. Since God’s discipline is an act of love that is based on our relationship to him, it seems logical for the writer to use our human fathers as an illustration of God’s function as our heavenly Father. According to the author, our earthly fathers disciplined us though they doubtless made mistakes. Some fathers discipline too much and others not enough. Some fathers discipline too heavily, while others discipline too lightly. But God makes no mistakes. You may have had a father who disciplined you inappropriately. We live in a world where abuses of all forms are too frequent in society. Any time a parent abuses a child in any form is an injustice and should be renounced in the strongest possible manner. If that’s your story, it’s important that you not enforce that same standard of measure on God. Good fathers make favorable comparisons to God. They provide living and visible signposts to enable children to see God with clarity. But not every father is a good father. These fathers provide contrasting images to that of our heavenly father. Instead of thinking that God is like my bad father, think God is not like my bad father. Recently my daughters were watching an episode of Jon and Kate Plus 8 on TLC. As I was in the kitchen, I heard Jon Gosselin describe to the camera the objectives of good parents. He remarked that in his opinion, good parents make sure their children are happy, healthy and safe. That’s not terrible advice, but it is certainly incomplete. A parent’s ultimate role is to enable their children to know God. Through every aspect of parenting, which includes discipline, we help our children learn how to relate to God.